How did 30 people and a comedian get in my front room? He was in Newcastle for a four day run headlining at the Newcastle Stand, a show I enjoyed so much that I’d been to see it twice. He came round for tea, cake and a chat, like a home visit by Cats Protection except without a kitten. I had no idea how previews or “freeviews” worked: it turns out they’re free (there’s a clue in the name) and mercifully they’re invitation only, so I didn’t have to worry about members of the public coming into my home and stealing my favourite mugs. It gives the comedian a chance to run through a new show in front of a friendly audience prior to taking it to Edinburgh, and it gives the audience a chance to enjoy an informal show in cramped surroundings. I simply had to invite about 15 people to make up the audience. I wasn’t sure I even knew 15 people but I hid my fears and babbled on about cake baking (incidentally if Seymour Mace ever challenges you to a bake-off, don’t bother unless you’re Mary Berry. He will kick your arse). Now to find an audience. Seymour Mace is allergic to cats, so that’s four people I couldn’t invite. Luckily, Twitter came to my rescue. As well as inviting both of my friends, after a few direct messages to North East comedy fans I managed to pack out my front room with 30 people who were delighted by the idea. “Great comedy, thank you so much”; “Brilliant evening watching @seymourmace do stand up in @cakepoppins front room!”; “What a lovely night”; “Big thank you for hosting a laughter filled evening with one of my fave comedians, @SeymourMace. 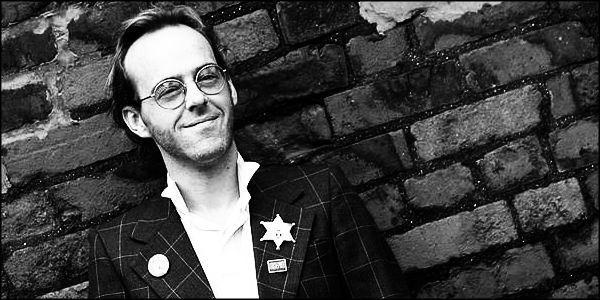 Great fun!”; “Delightful impromptu comedy salon with @seymourmace. Fun, funny & friendly”. Who thought comedy in your front room could be so funny? Seymour Mace’s Squeg! is at the Live Theatre, Newcastle, on 28th July and at The Stand Comedy Club II in Edinburgh 1st-26th August. For details, see: edfringe.com.